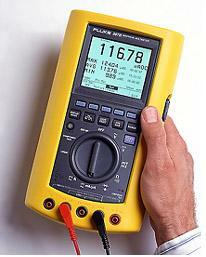 Testwave LLC® has been selling, renting, calibrating and servicing Fluke Products for over seventeen years. Call Testwave today for any test equipment needs. Accurate digital and analog measurement capability with extreme ruggedness and durability. It is totally sealed, tough enough to withstand water, conaminents, chemicals, accidental drops and severe electrical overloads. A loop calibrator, 20 mA DC Current source and a DMM in one tool, with built in 250 Ohm resistor, two levels of backlighting, simultaneous mA and per cent of scale readout, diode test, Output Accuracy 0.05 percent, Operating temperature -20 to 55oC, weighs 600 Grams. A digital megohmmeter capable of testing switchgear, motors, generators and cables at up to 5000 VDC. 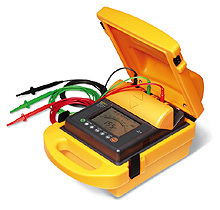 You can continue to count on us to bring you quality test equipment at practical prices. If you are looking for a used equipment, see Rental and Sales, or for calibration Click here.